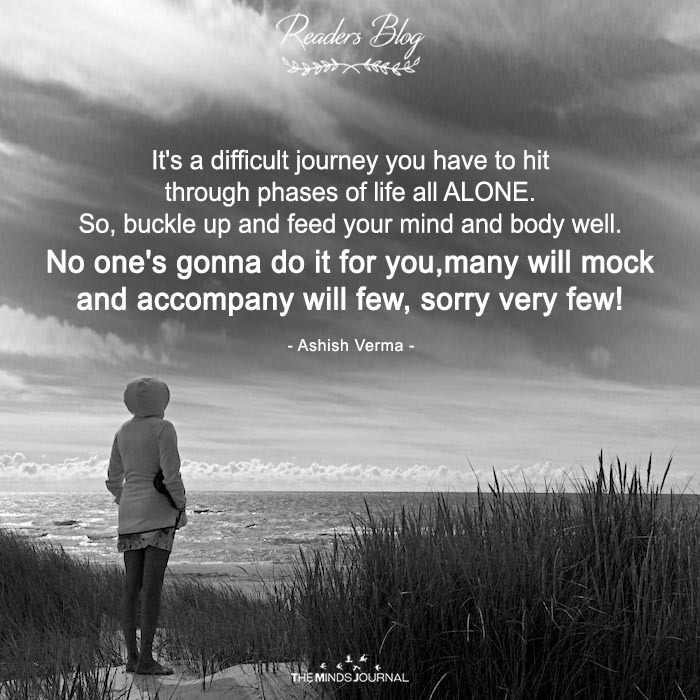 It’s a difficult journey you have to hit through phases of life all ALONE. So,buckle up and feed your mind and body well. Noone’s gonna do it for you,many will mock and accompany will few,sorry very few!